You can use AFerry to book ferries to or in the Saronic Islands Islands including Aegina, Agistri, Hydra, Methana, Poros and Spetses. AFerry offers a variety of ferries to the Saronic Islands, see below for timetables and the latest special offers. 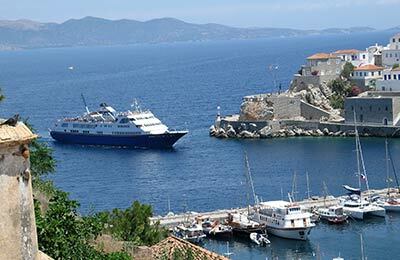 Booking an Saronic Islands ferry couldn't be easier with AFerry. You can either use the booking form at the top left of the page. The Saronic islands are situated just off the Greek mainland, in the Saronic Gulf. 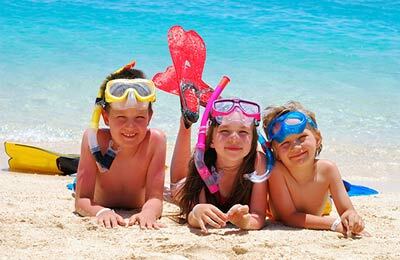 The islands are popular with holiday makers from the mainland and many have holiday homes in the Saronic Islands. Perhaps you were looking for Greek islands, such as the Aegean Islands, North Aegean Islands Cyclades Islands, the Ionian Islands or even to Crete. The Saronic islands are in close proximity to Athens, the capital of Greece. You will find stunning natural beauty, clean sandy beaches and deserted pockets of paradise on each island. 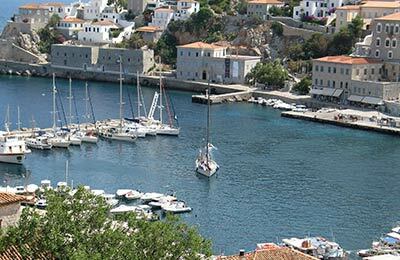 The Saronic Gulf is home to a vast mix of bustling city chaos and relaxed, laid-back culture. Those who like to explore will discover a plethora of historical beauty, both man-made and natural, while the party animals will find a vibrant nightlife with a great selection of bars and clubs to choose from. The islands are extremely popular with Athenians, so do expect room prices to skyrocket in the summer, particularly at weekends. Ferries are the best way to get around between the different islands in the Saronic group, all of which can be booked here on AFerry! Island hopping is an activity we would highly recommend, allowing you to take in everything the Saronic islands has to offer. Once on one of the islands, the methods of travel can vary. Cars and bikes are banned in Hydra, but this certainly adds to its charm as the main ways around the island are by donkey or by tow boat. Either way, you get a much more interesting ride around taking in all the scenery. On the island of Spetses, buses run but private cars are banned, making public transport very expensive. However, bikes and motorcycles are available for hire. On the other islands of Aegina, Agistri, Methana and Poros, more traditional methods of transport are available, although they can be expensive. Travelling on foot is the best way to take in the sights without spending your hard-earned holiday money. Boats are not only the best way to get to Hydra, they are also great for getting around! Each island has a unique offering, so hopping between the Saronic islands is highly recommended to get the most out of your visit. Trying to sum up the Saronic islands in one paragraph is extremely difficult, as the main trait these islands share is variety. You will find different attractions from island to island, and you will also be surprised at the variety of things you can find within one island alone! If you happen to find yourself in Aegina, then the ruins are a must see. There is an admission fee but you are able to touch (and even sit on!) the crumbling ruins. To really get the most out of it, wear your swimsuit and enjoy a dip! Fantastic views can be had across the strait, stretching all the way to Piraeus. A good way to think of Hydra is a toned down, more sophisticated version of Mykonos. The most popular bars are gathered along the harbour; they offer a great variety of drinks and loud music for all the tastes until early in the morning. With the Saronic islands, the choice is yours and you have the freedom to truly reconnect with the simple pleasures of being human as you walk through our race's history amongst beautiful surroundings. Perhaps you were looking for other Greek islands, such as the North Aegean Islands, Cyclades Islands, the Dodecanese Islands, the Ionian Islands or even to Crete. Rude staff, no information in port area. On arrival at the port area there was no information to let us know which ferry was ours - there were three boats there widely spaced out and we were running with our cases from boat to boat not knowing where to go. Once we found our boat thanks to a member of the public, we got on and found our seats but we were shouted and screamed at in Greek by a woman member of staff because we didn't know where to put our luggage (we were some of the last people to get on because although we had arrived early we hadn't known where to go to catch the boat). We had no idea what the woman meant as we don't know Greek. We were trying to do the right thing but it was the first time we had done this and we just didn't know. I truly have never in my life been screamed at like that, I felt traumatised by the experience. That horrendous female needs to either be sacked or trained in customer service. More information is needed in the port area to inform people where to go and what to do. This ferry was very good .Excellent value.Well run on time. The ferry has been revamped and though old, is very comfortable with air conditioning in the salon. You can buy drinks, coffee and cheese pies etc. We always travel by ferry rather than Flying Dolphins as you can walk about and go on deck and watch the sea and islands so we recommend this trip!